Persimmon is open for dinner Tuesday through Saturday, starting at 5 p.m. Make a reservation here, or call (401) 432.7422. The reservation line is open starting at 1 p.m., Tuesday through Saturday. Please note: we are unable to accept reservations via email. Come celebrate with us! 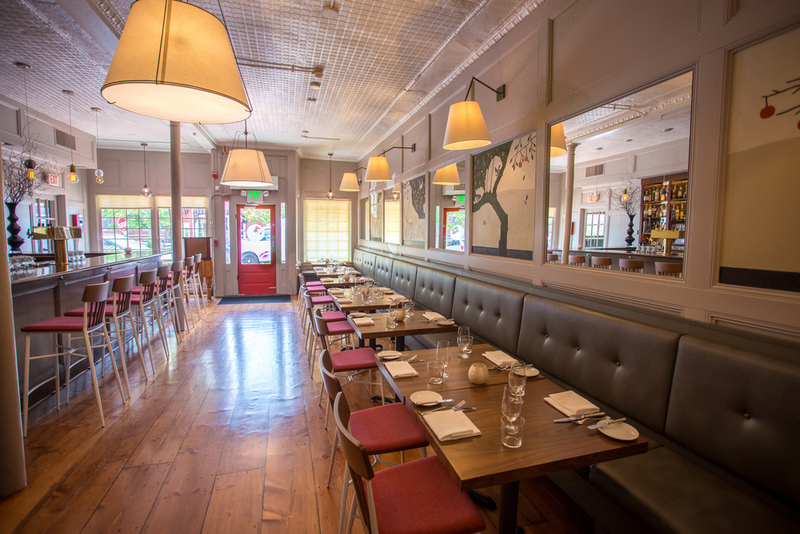 The new Persimmon in Providence is available for private functions for both small and large groups. Tasting and special multi-course menus can be designed to suit your needs. We are also able to cater intimate offsite dinner parties. Call (401) 432.7422 for more information. We feature one convenient gift card that can be redeemed at both Persimmon and Persimmon Provisions. The cards are available in any denomination and can be mailed anywhere in the U.S. Stop by the restaurant (99 Hope Street, Providence) or the butcher shop (338 County Road, Barrington) to purchase a card, or call (401) 432.7422 to have one mailed directly to you or the recipient. Join our mailing list to be kept up to date on all things Persimmon: news, special events, new dishes + creative cocktails.